You can check out this 46,763-page product bible here [PDF] – but be warned, it's a not-inconsiderable 125.1MB. Its length is a result of taking all the various Nutanix products and pricing them by different configurations of Xeon processor, memory, storage, network adapter, and so forth. 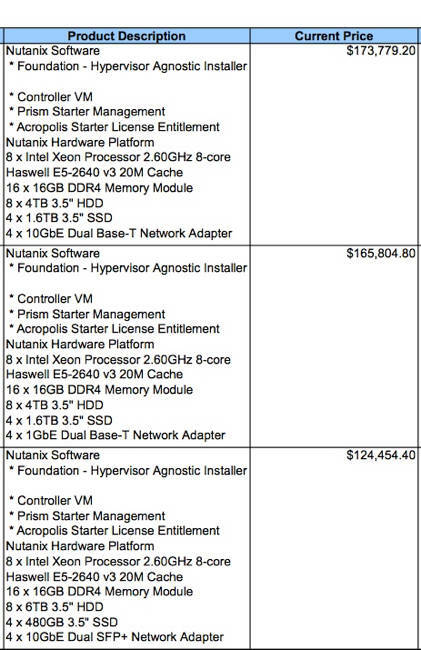 We asked Nutanixers about its size, and we'll update when they get back to us. Has any single person looked at every one of these 46,763 pages? At 10 seconds a page, it would take 16.24 eight-hour days of non-stop reading, more than three working weeks. This is an incredible document that's effectively digital-only. We can't imagine it ever being printed.